Xiaomi Black Shark is about to extinguish the first candle and, just in the spring, the Chinese could present its successor. It seems, in fact, that the Black Shark Skywalker will arrive in April. The arrival of the smartphone, among other things, has been confirmed during these hours. According to what has been leaked on Weibo it would seem that the device in question will be full of personality and details that will make it cool. Although we have talked about, even later, a name like Black Shark Skywalker we are not yet in front of an official name that, therefore, could change at any time. 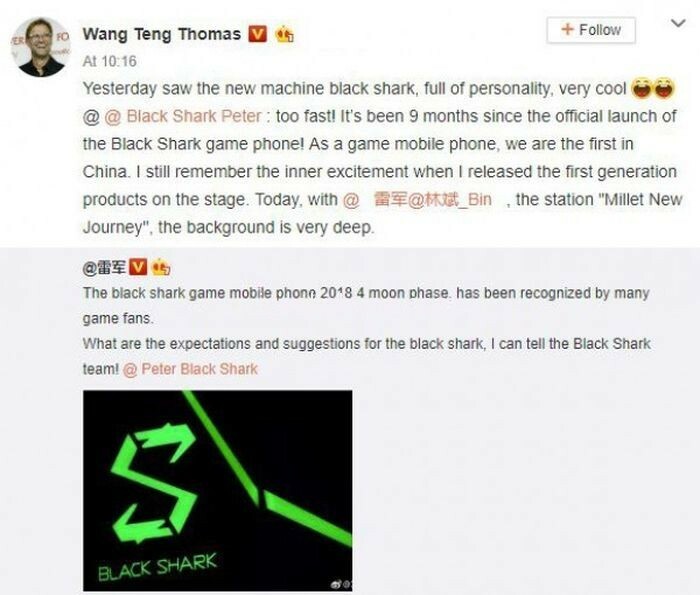 The possible Black Shark Skywalker will be the third gaming phone of the Chinese company. In fact, last year it was the turn of the Black Shark and the Black Shark Helo. The substantial difference between the two models was found in the RAM which, in the second model, was increased to as much as 10GB. In fact, Black Shark Helo was the first device in the world with such powerful RAM. 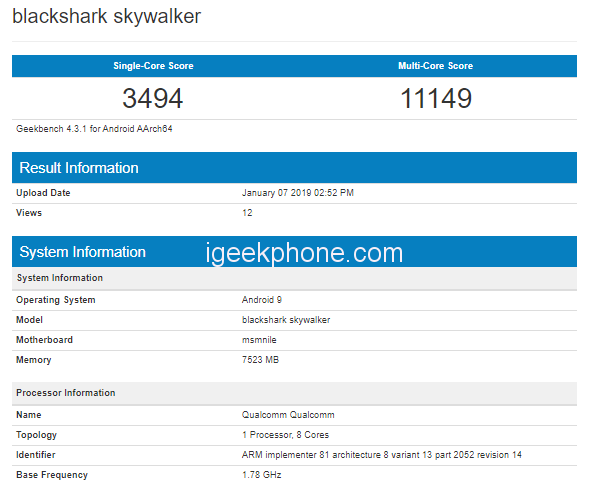 Returning to the possible future Xiaomi Black Shark Skywalker, this denomination is confirmed, so to speak, from the appearance on Geekbench of this smartphone. Thanks to this we know that the device could arrive with a Qualcomm Snapdragon 855 in conjunction with 8GB of RAM and Android Pie 9.0. It is not excluded that the new smartphone also arrives with an even higher RAM that, at least, goes to equal the 10GB of the previous model. We do not know if the device will support 5G. The fact that it will arrive with the Snapdragon 855, in fact, does not mean automatically that it will. We await further news on this. There is news that Black Shark Skywalker will have a gaming smartphone with 5G connectivity. 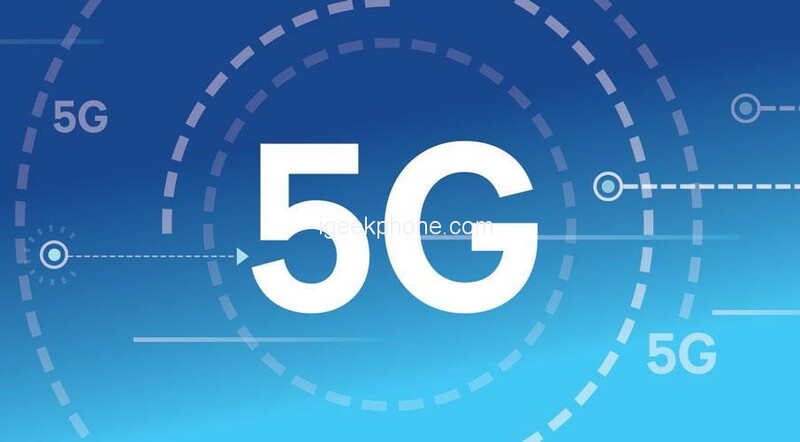 But there is another news that a smartphone that has the same chipset does not support 5G. Let’s wait for further news from this advanced gaming smartphone. Read Also: Xiaomi Mi 9 Is Close: This Flagship Is a Worthy Rival For the Galaxy S10? Previous ArticleXiaomi Mi 9 Is Close: This Flagship Is a Worthy Rival For the Galaxy S10?